STORY: A phenomenon called the Hollow Night has been enveloping particular regions of Japan once a month for several centuries. Each area engulfed in the Hollow Night is beset by shadow-like creatures called Voids that utilize and feed upon a power known as "Existence", or EXS. Normal humans cannot see or come into contact with Voids, but certain people have the potential to perceive them. Those who acquire this perception are targeted by Voids and risk either being consumed by them or losing their sanity. 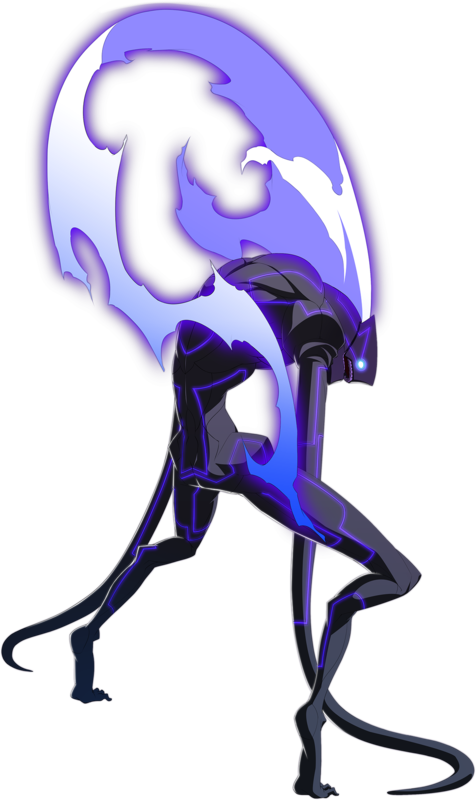 Under special circumstances, a person who maintains their sanity after being attacked by a Void can become a being known as an In-Birth. While this status places a person into a sort of limbo where they are neither living nor dead, they also gain the ability to control Existence. 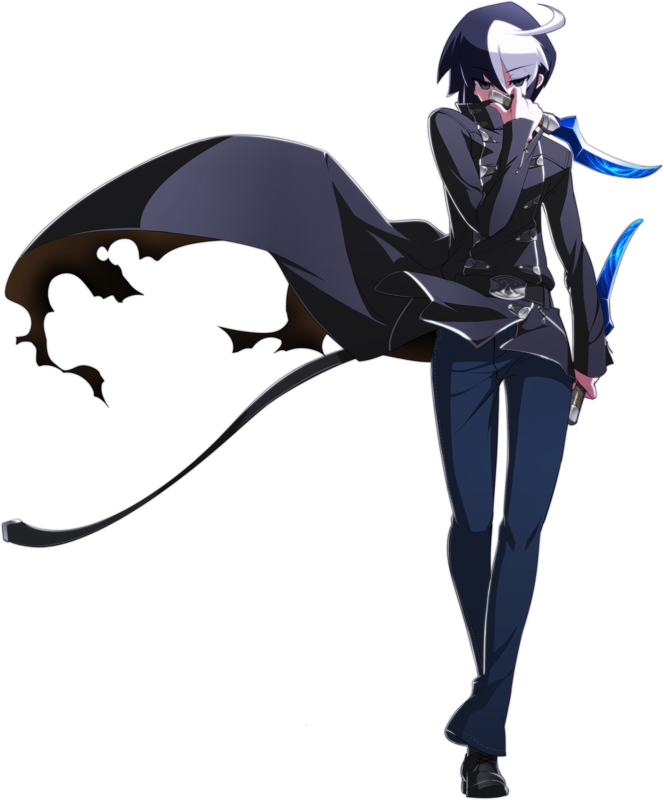 The protagonist, Hyde, is one character who survived a Void attack and became an In-Birth. Many characters are involved with the Hollow Night phenomenon, and several of them are affiliated with particular organizations. Two rival groups, the Yatō and Licht Kreis, both serve to maintain order in areas affected by the Hollow Night but differ in their methods. The tarnished Yatō primarily hunt Voids, while Licht Kreis uses its lawful order and hierarchy to protect civilians. A third organization, Amnesia, is more chaotically structured and seeks to stop the influence of both the Yatō and Licht Kreis. 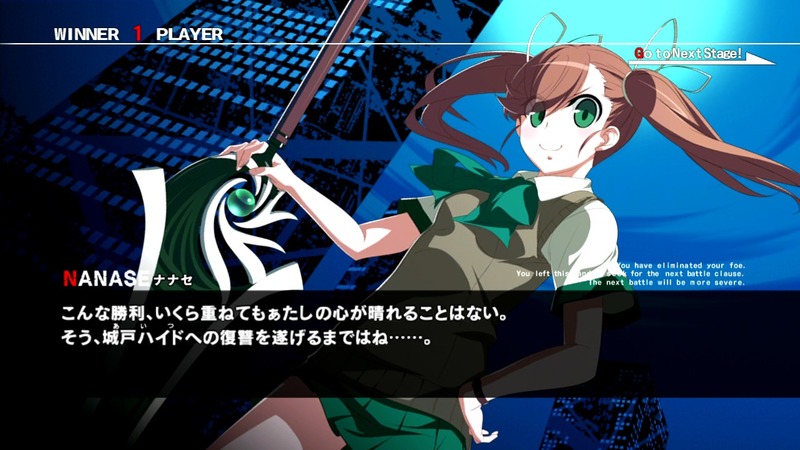 UNIEL's 16 unique fighters... and (most) NOT your typical cliche anime types. 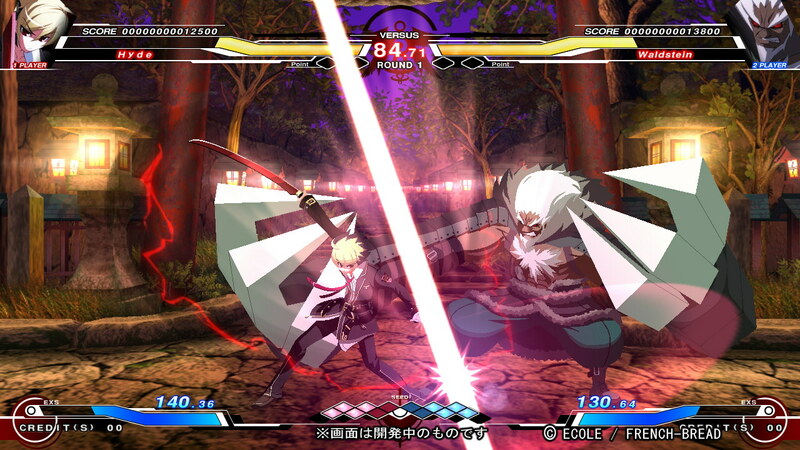 REVIEW: When it comes to most anime fighting games, I usually find myself loving the aesthetics but eventually losing interest in the (arguably) overly-complex / random gameplay nuances. 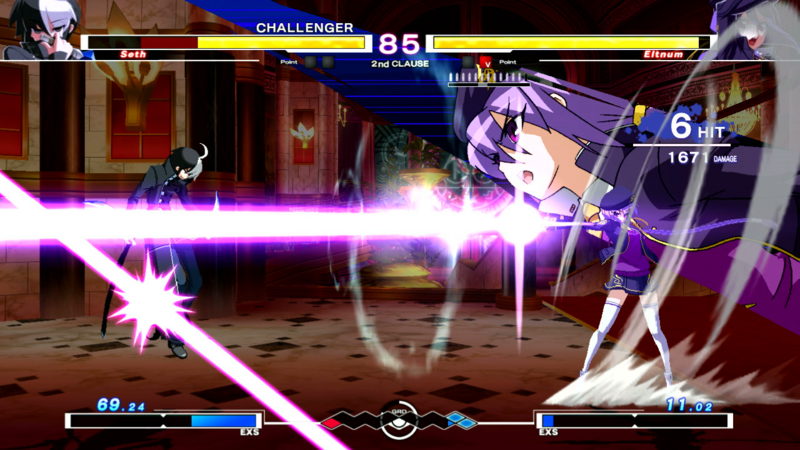 Judging by visuals alone (early on), I thought Under Night In-Birth had a distinguishable and promising appearance, but I figured it would play "just like any other anime fighting game". That said, I have no problem admitting that I figured wrong this time. 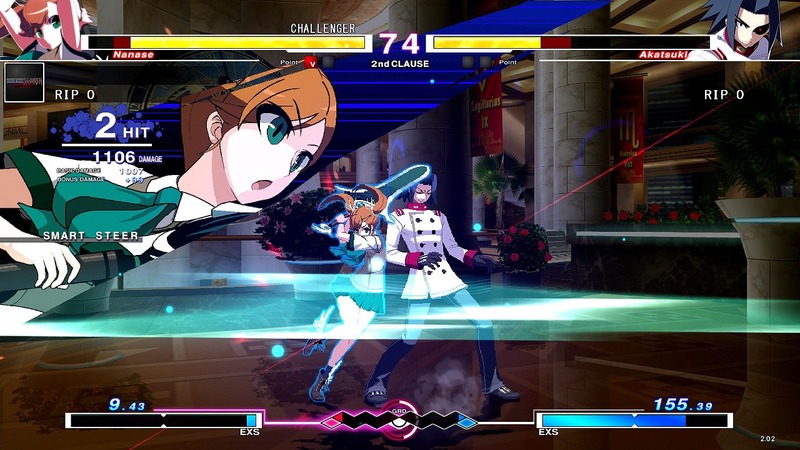 Since the 2D fighting mechanics are intuitive enough to jump right in, UNIEL's beautiful aesthetics can be enjoyed thoroughly without the player being distracted by having to learn an entirely new kind of fighting game. What sets UNIEL apart from the majority of this era's anime / Doujin fighting games, is that it has a much more "traditional" feel to it. 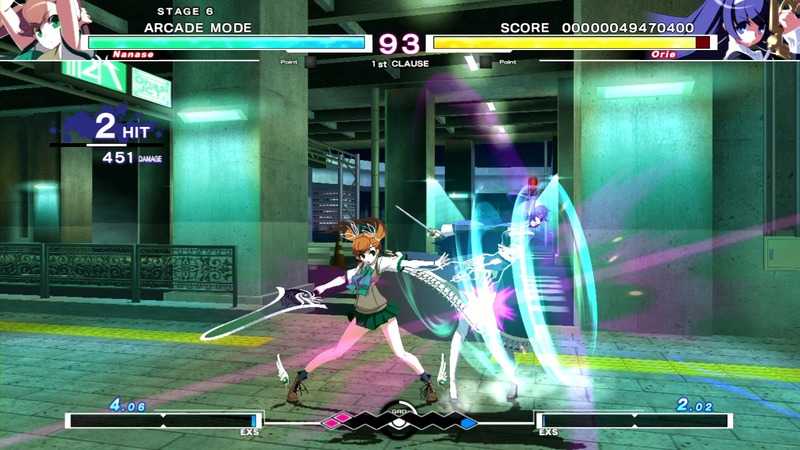 Titles like Guilty Gear, Blazblue, Persona 4 Arena, and Arcana Heart are known for their "ultra floaty" jumping & air-dashing, and ridiculous number of projectiles flying around. UNIEL dials things back a few notches, giving characters a simplified air dash technique which has them immediately moving downwards after air-dashing (ohh hello gravity, nice to see you there). 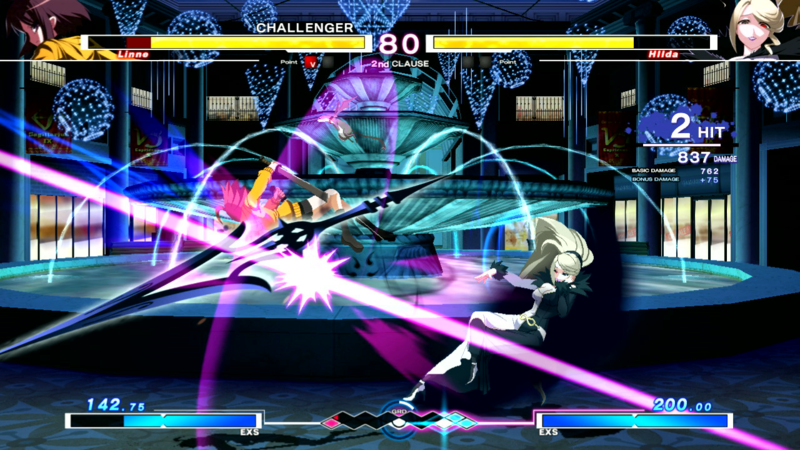 Another standout element of UNIEL is the awesome reach & range of some special moves, super moves, and certain normal attacks. If you don't play carefully and smartly, your character could get slashed from all the way across the screen in the blink of an eye. This definitely gives the game a unique pace. Practically all inputs are "simple"... with your basic Hadouken, Shoryuken, and charge motions. Some projectiles are even performed simply by holding a direction and hitting one button. The simplicity conveniently speeds up the process of learning a new character... a respectable asset in any new series. 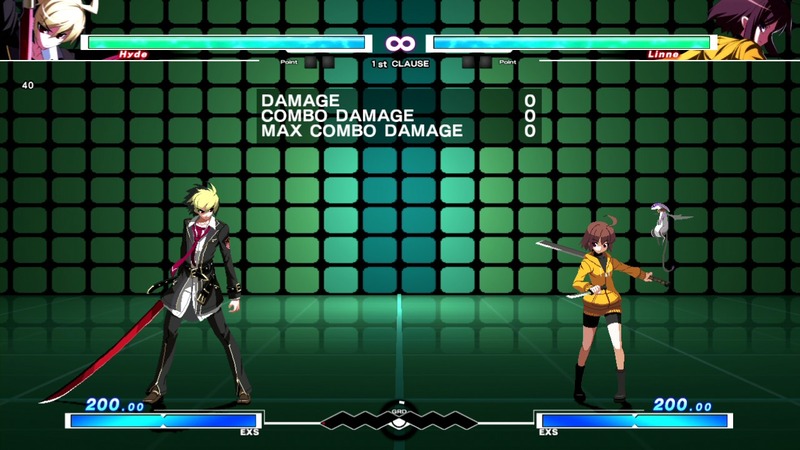 UNIEL also borrows the auto-combo concept from P4A: Arena, enabling players to perform a basic combo (into super) with any character, simple by tapping one button. Believe it or not, the auto-combo system can actually help you learn REAL combos over time. 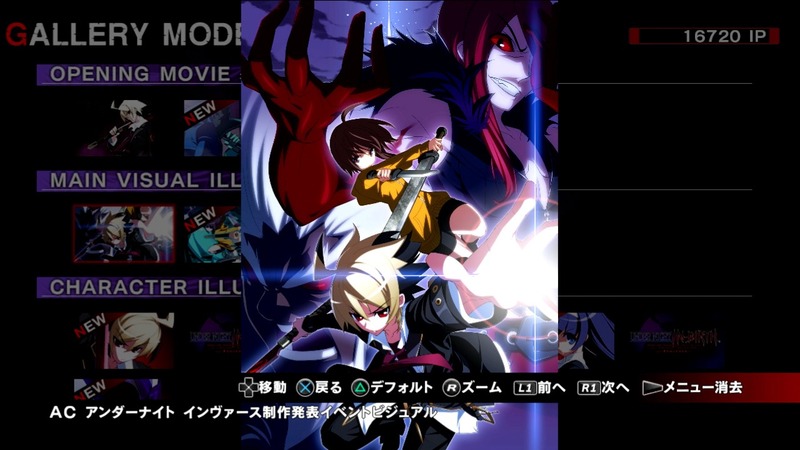 That said, UNIEL is a surprisingly easy game to get into (but challenging to master, of course). An anime fighting game that's inviting both visually and gameplay-wise? Sign me up. Crispy 2D sprites and fresh character designs... what's a Blazblue again? In my opinion, a fighting game with "been there, done that" character designs will never really catch on regardless of how good the gameplay is. 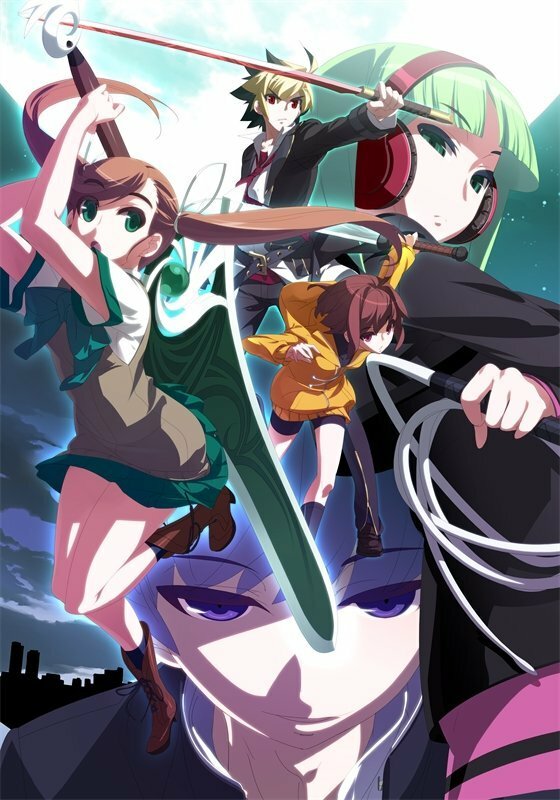 Thankfully, the cool & unique character designs of UNIEL succeed at being intriguing and making a statement (check TFG's Character Reviews for my full impressions). 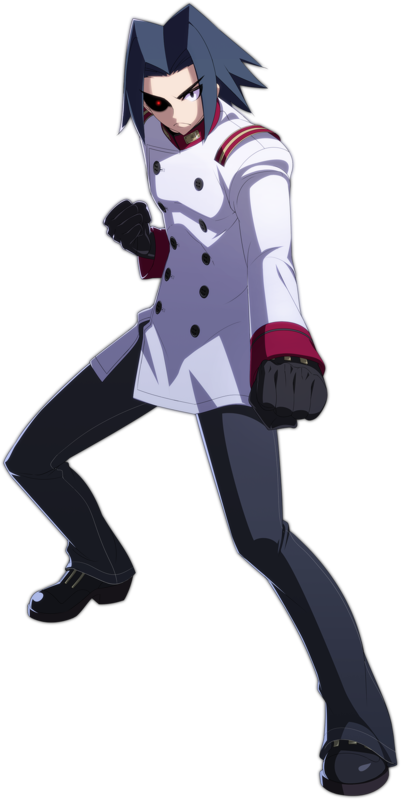 Basically, I don't feel like I have to embark on a journey into anime pop culture, and have to Google weird anime references, in order to understand UNIEL's designs. The characters are just cool, and fun to use... simple as that. I found myself not only appreciating the aesthetic artistry of many of the designs, but delightfully surprised at how badass they are to play. 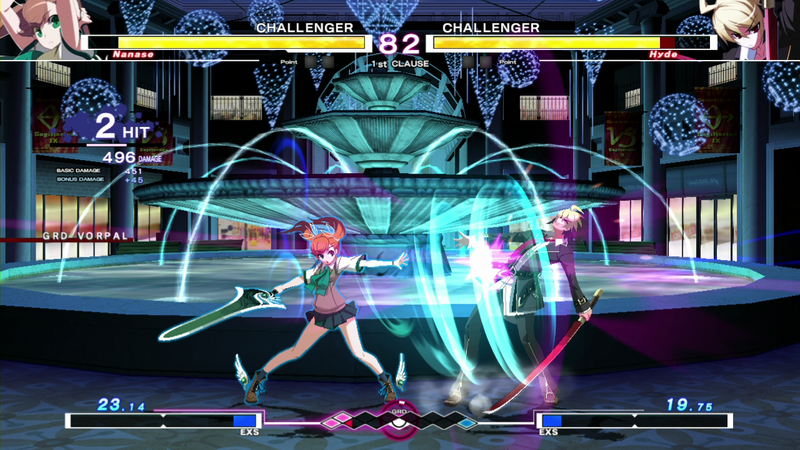 In addition to the simple inputs, the intuitive combo engine of UNIEL makes learning combos and strategies for each character very natural. UNIEL's combo system has your basic Darkstalkers-esk chain-combos, into specials, into supers... plus some ultra cool air-combo possibilities which aren't difficult to learn at all. UNIEL's meter system (the "Grind Grid") is a little unusual, yet innovative, as it enables one fighter per round to enter what's called the "Vorpal" state (raising damage output by 10% and making it possible to use Chain Shift - AKA canceling). P.S. You don't have to understand any of that to enjoy the game. Even if you're not necessarily in love with any of the character designs... try them. Try each and every one of them. You'll most likely be surprised with how many cool attacks and options they have, like I was. 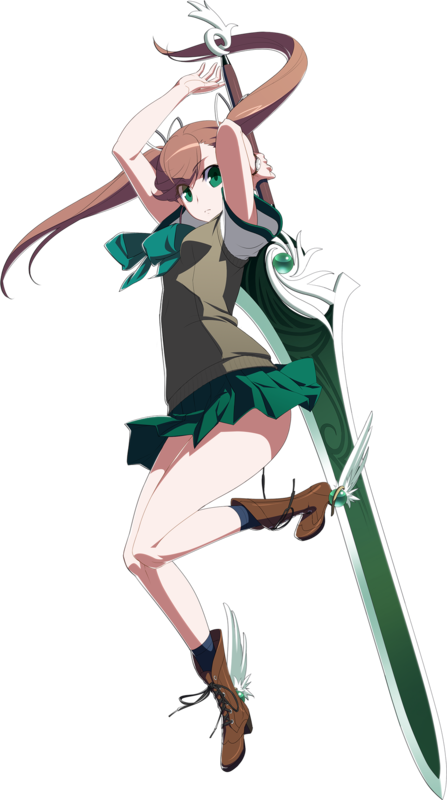 I like my 2D fighting game characters to have options, and there's plenty of variety in UNIEL. Possibly my favorite aspect is how many different super moves each character has, along with a (usually) pretty badass "mega" screen-filling super move. 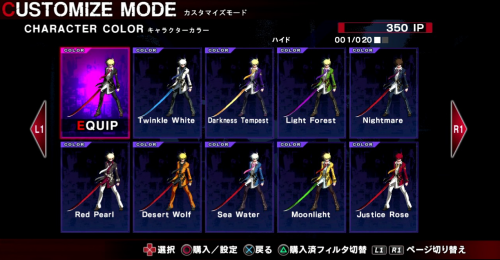 Another subtle but very cool thing UNIEL's characters have going for them is the plethora of color palette options! 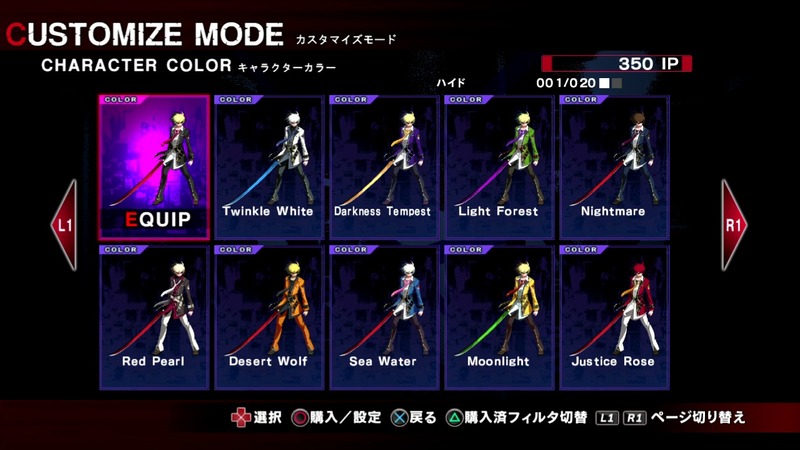 Customize mode lets you set your own "default" color for each character on the selection screen and online mode, so your favorite color shows up first. It's no color edit, but the 10 extra selectable colors per character (on top of the original 10) are much appreciated and nicely designed. It'll also take you a while to unlock all of the colors, along with all the character art & endings in the Gallery. 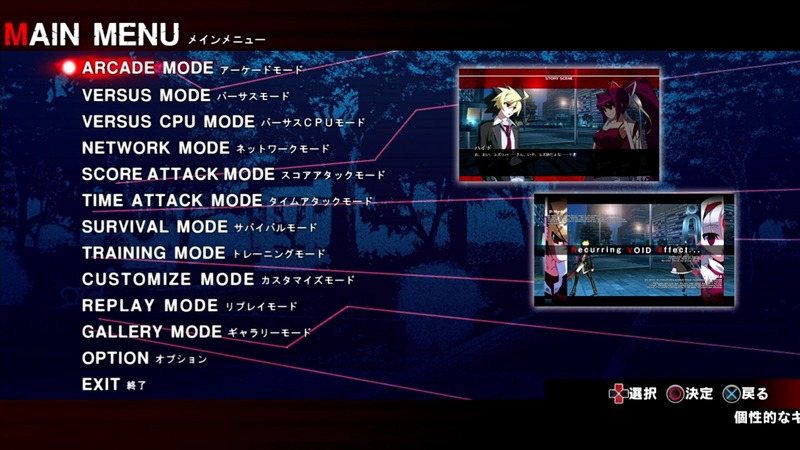 The PS3 version of UNIEL features 8 gameplay modes, including: Story, Score Attack, Time Attack, Survival, Training, VS CPU, and Network. Network mode features 8-player lobbies with spectating functionality, Ranked Battles and online leaderboards. Like other fighting games, players can trounce around in Training while waiting for an online opponent. Overall, the netcode seems "fair"... as I've had several smooth matches but also some laggy ones (definitely playable at the least). 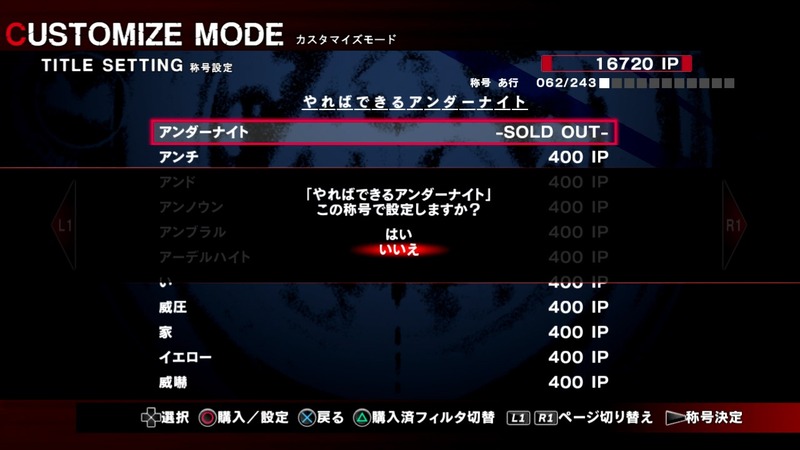 Network also lets you save & watch replays, but unfortunately, no frame-by-frame playback like in P4A: Ultimax. 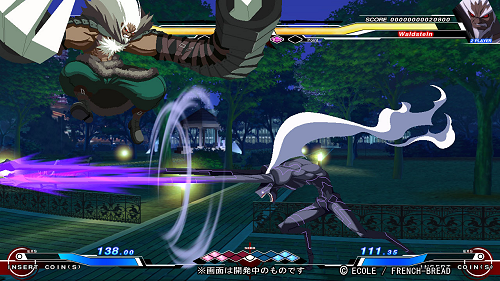 Visually, UNIEL's large and well-animated character sprites are as good as you'd expect from a 2D fighter published by Arc System Works. Not only do attacks look fluid and awesome, but damage animations pack more "ouch factor" than most anime fighting games! Something about the sound effects, and the way characters hit the ground (they don't always just fall flat on their back), look and feel very satisfying. You simply can't judge this game by screenshots alone... 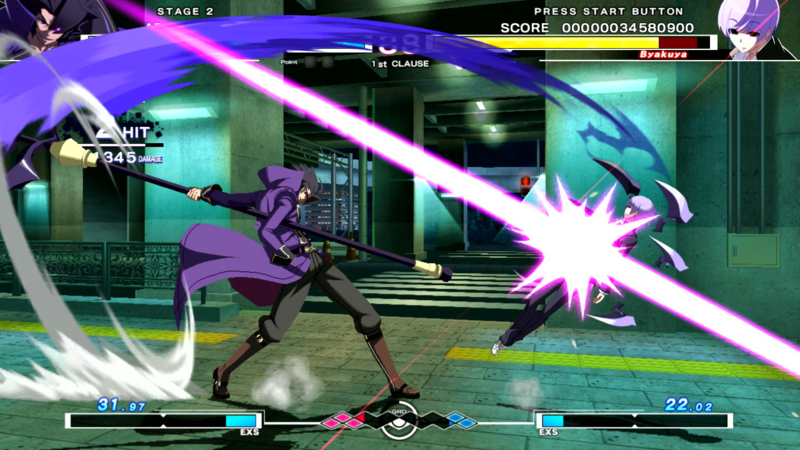 Under Night In-Birth is beautiful in motion! 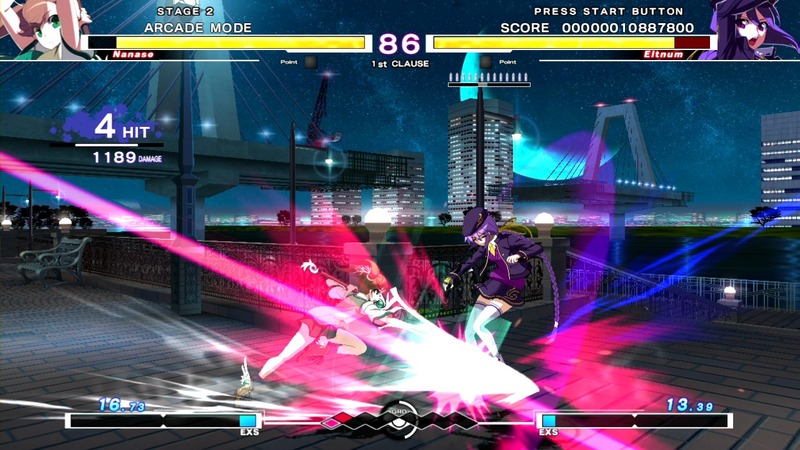 UNIEL's stages are generally kinda sleepy, and remind me of good ol' fashioned "3D-style, PS2 2D fighter" backgrounds. Perhaps some more 2D sprite elements in the backgrounds would've spiced things up a bit. In a nutshell, the stages are lonely and barren... there are no cameo characters or signs of life whatsoever (not even as much a cat running across the screen). The environments are borderline depressing, but nonetheless, seem to set a cool "vibe" for the game. The music of UNIEL is a weirdly interesting mix. The soundtrack is tolerable at the very least, and thankfully doesn't push the "tinny / upbeat" sound like some other anime fighters do. There are even some "metal-esk" tracks with powerful guitar riffs... and overall, I actually enjoy the soundtrack. (Also, shoutouts to that one stage BGM that sounds exactly like a SF4 tune)! Waldstein is definitely Hsien-Ko's grandfather. As to be expected from an arcade anime fighting game, the presentation is decent... but isn't too elaborate. The intro theme is pretty catchy and well done, at least. 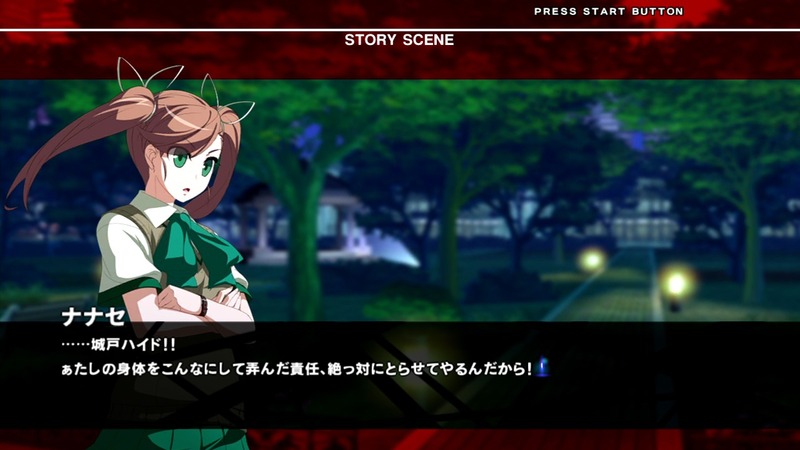 For character endings, all you get is dialogue and a single ending artwork. 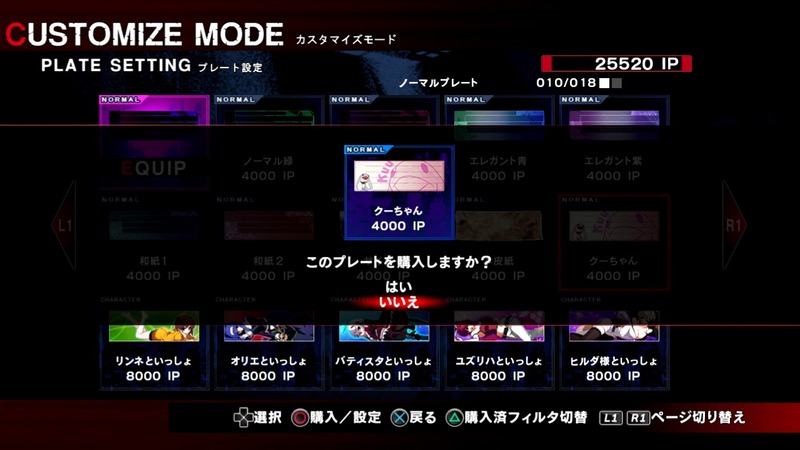 Story mode will set up each character's basic premise, consisting mainly of spoken dialogue with text, and the usual character portraits with various facial expressions. Overall, some of the storylines are halfway entertaining and flesh out the personalities, while others are typical anime fare. Other elements of the game help it stand out from other fighters... instead of the classic "Round 1 - Fight!"... 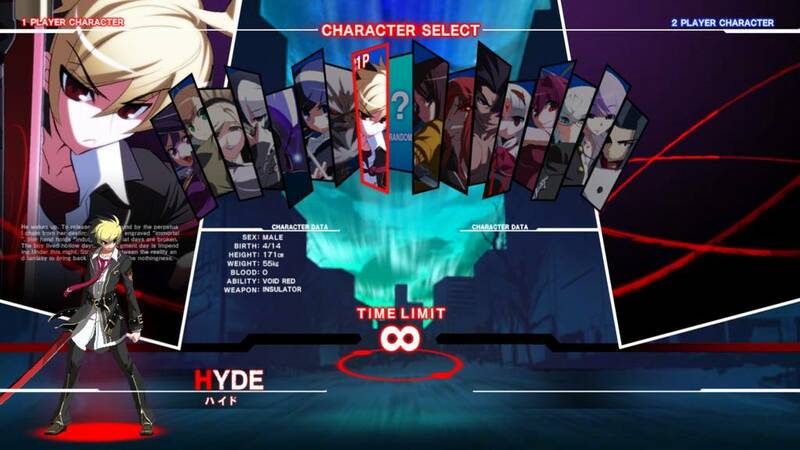 rounds in UNIEL begin with "First Clause - Divide!" I dunno, to me it just seems like they were trying too hard to be different. No free hit after K.O. also disappoints me... and ruins my fun sometimes. 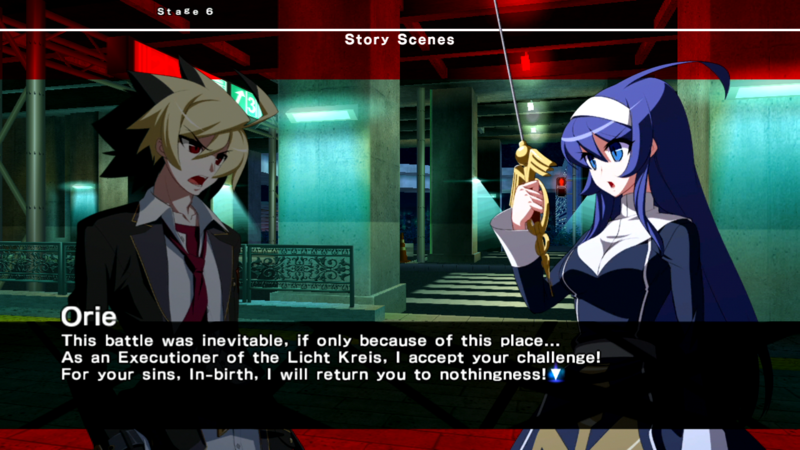 Final Words: UNIEL offers an unique experience that shouldn't be missed by any 2D fighting game fan... I actually don't say that about many anime fighting games, so do take note. 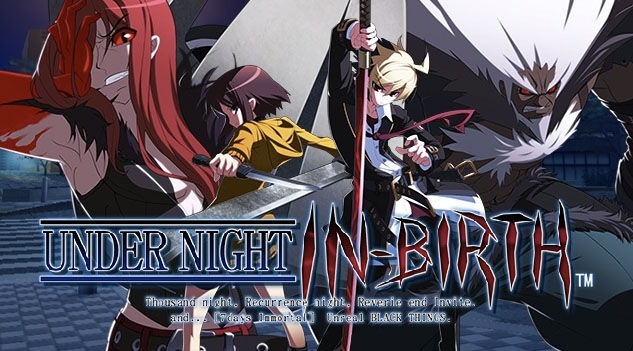 Under Night In-Birth EXE Late is a surprisingly polished 2D fighter, and to me, much more intriguing than French Bread's earlier offering, Melty Blood... both visually and from a gameplay standpoint. 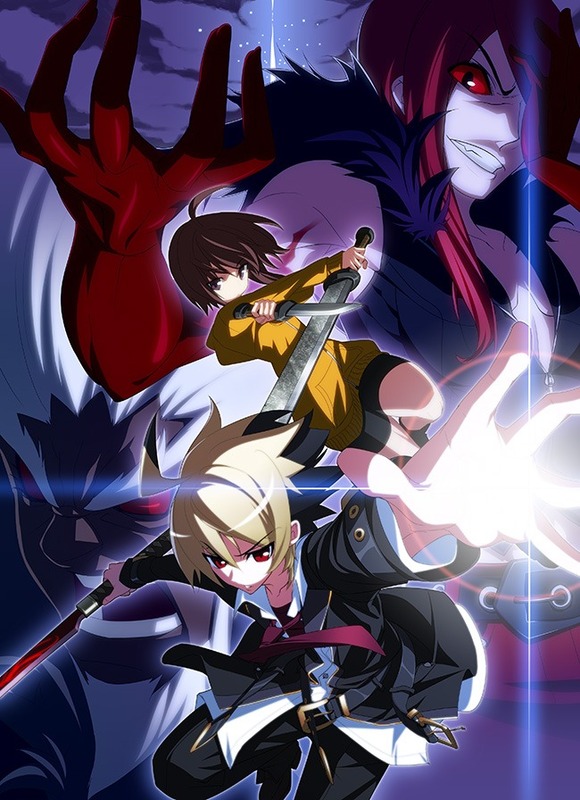 As a whole, UNIEL's character designs aren't the typical anime fare... and after trying out all of UNIEL's characters, I was even impressed by the majority of them. I really love the "limited" air-dash, which is good if you're not a fan of those 90' horizontal air dashes in other anime fighters. The air-dash is similar to the trajectory of an air hurricane kick, and every character can do it and add an attack to the jump as well. It works really well with the gameplay, and makes the game far less floaty than other anime fighters. While I appreciate UNIEL's accessibility, I actually don't like the ultra-easy "half circle" supers... mainly because it makes it very easy to launch a super move by accident. *sigh* Fine, I'll play cleaner. 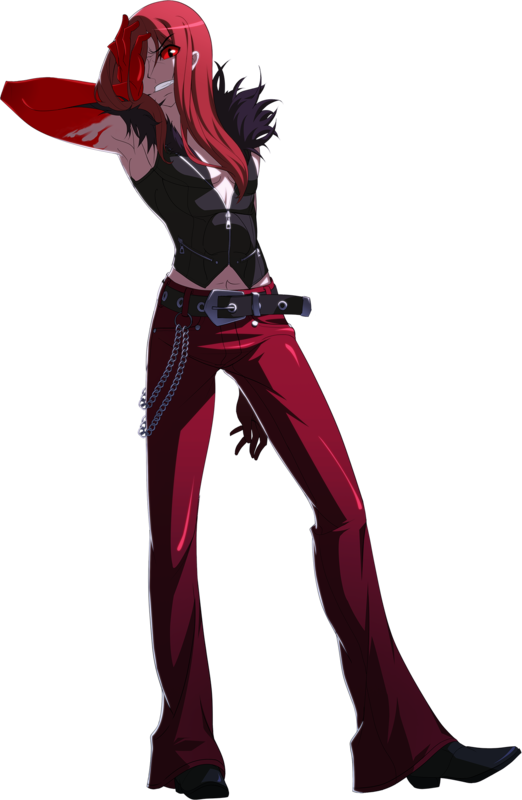 UNIEL's art style is a bit "loud" for my tastes, but may appeal to some. To be specific, something about the way character faces are drawn irks me a bit... as most characters seem to have giant "bug eyes" (which creep me out). It's just a gripe, because otherwise, the artwork is actually pretty excellent (and most important, the sprites are awesome). Once again, UNIEL sports a very good cast of characters... one of the most well-rounded rosters I've seen in a while. The characters are equally fun to use and well-balanced in terms of how they play... (but I'm not 100% sure about their competitive standing at this point). 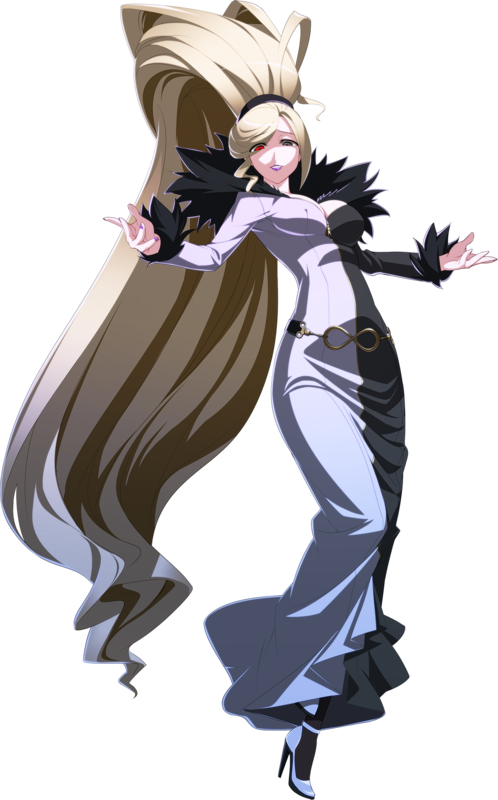 UNIEL has more in common with Darkstalkers than it does with some other anime fighters of this era. Thanks to the character diversity, many character match-ups end up being interesting... and can result in some pretty crazy projectile wars (or other fun mind games). 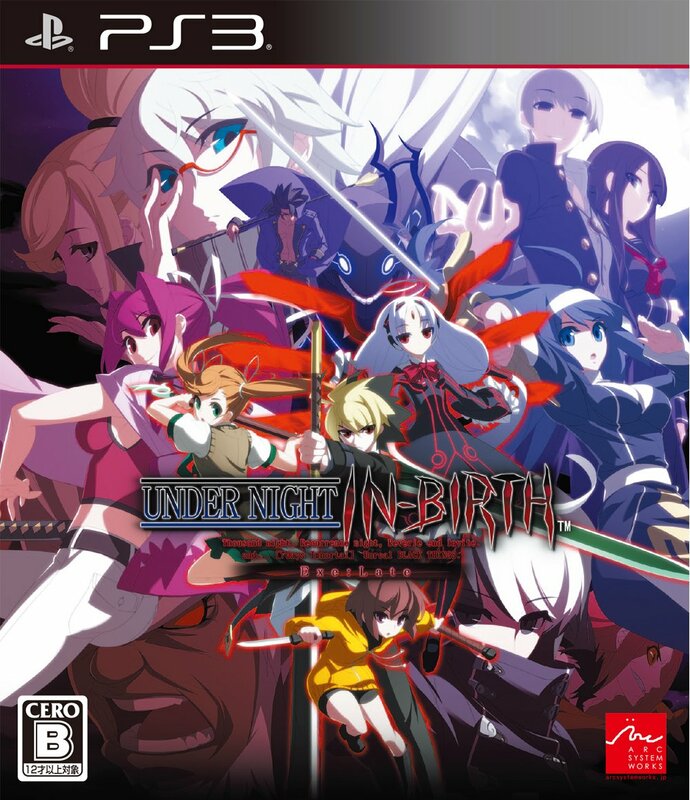 Under Night In-Birth was made by the creators of the Melty Blood series (which never saw a console release outside of Japan). The HD 2D fighter runs in 1280 X 720 resolution with a 16:9 aspect ratio. 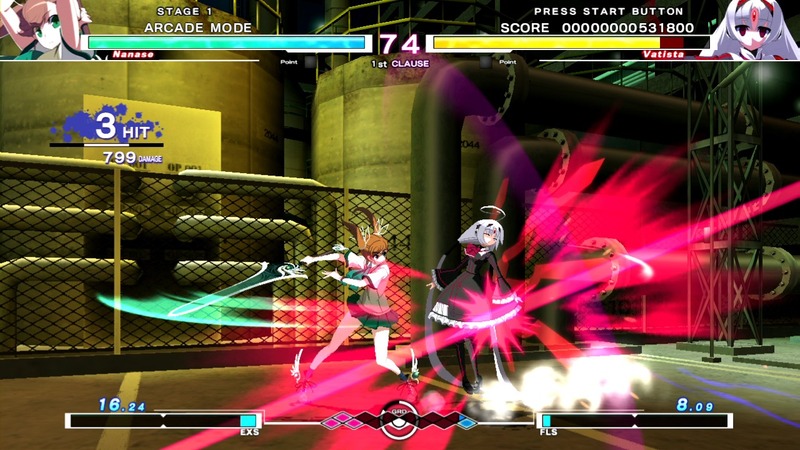 Development started in 2010, and the original version was released in Japanese arcades in September 2012. 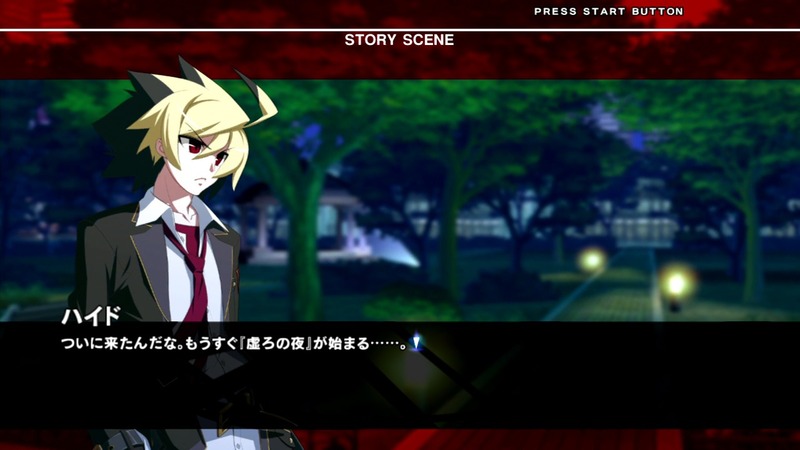 The first update to the game, titled Under Night In-Birth Exe:Late (commonly dubbed UNIEL), was released a year later in September 2013. 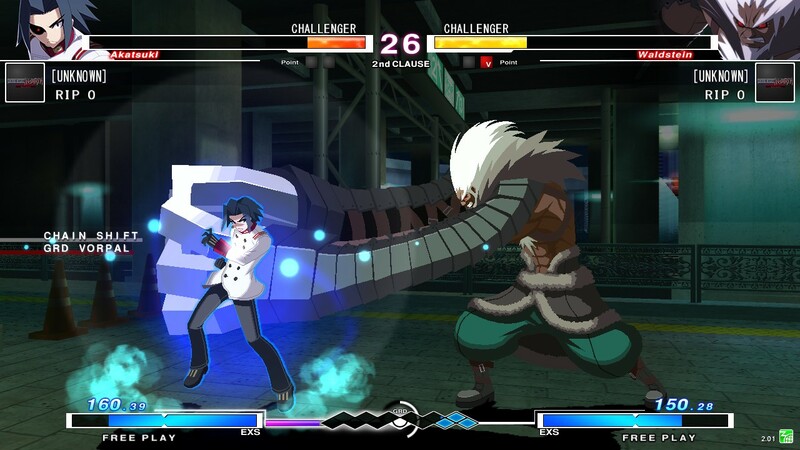 UNIEL added Chaos to the roster, as well as a guest character, Akatsuki from another obscure doujin fighting game, Akatsuki Blitzkampf. 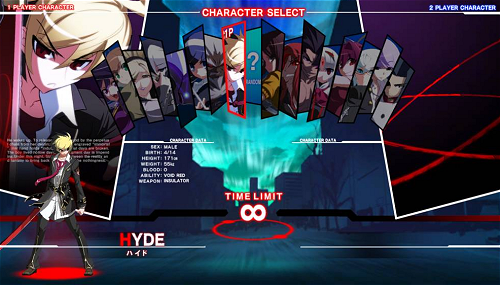 The second update, titled Under Night In-Birth EXE:Late[st], came out in Japan arcades in late 2015. 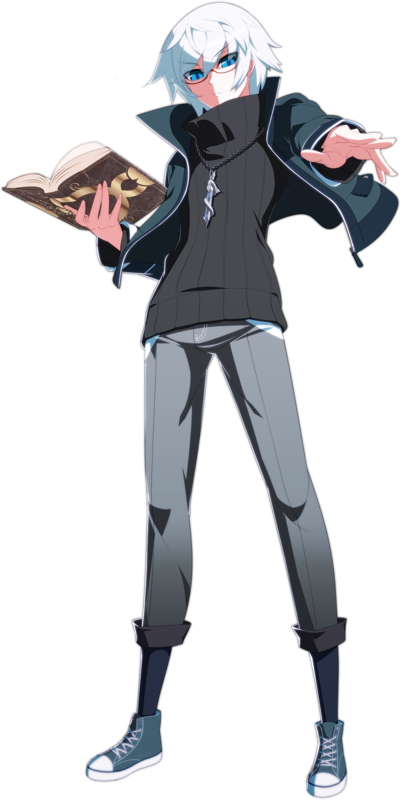 The [st] update adds Phonon as a new character. Further updates to [st] would add Mika, Enkidu and Wagner.